Visitors walk past illuminated funnel like structures of Sunshine Valley during the first day of the trail run for the 2010 World Expo in Shanghai, China on 20 April 2010. 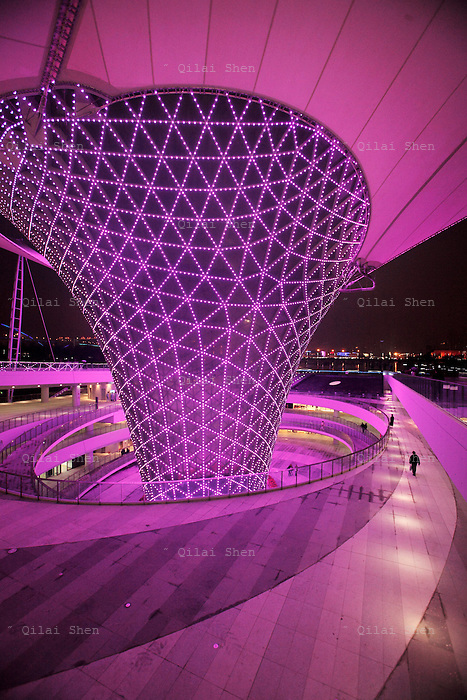 Shanghai eventually spent some 40 billion usd in developing the expo site and related infrastructure, and saw a record breaking 70 million visitors, the site has seen limited use after the end of the expo. Investment in government infrastructure and real estate spending have surpassed foreign trade as the biggest contributor to China's growth, fueling fears of an economic slow down triggered by the debt burden.